The Handmaid’s Tale was published in 1985. Is it still applicable today? Back in 1986, a year after its initial publication, that is what was written about The Handmaid’s Tale by the New York Times. Fast forward to 2018 and it’s a similar story. Margaret Atwood’s commentary on 1985 society is as topical now as it was back then: in terms of gender equality, in terms of religious extremism, in terms of human destruction of the planet. Whilst advancements have certainly been made in all of these fields, when reading The Handmaid’s Tale, I couldn’t help but think it was a cautionary tale for my generation, not my mother’s. For example, recent news stories regarding sexual harassment make it overwhelmingly clear that still, women are victim-blamed when sexually assaulted, whether due to their clothing, their job title, or literally just their gender. Likewise, fertility and choice in procreation are hot topics in current society; it is frequently debated whether motherhood is a choice, a right, or a responsibility. There are clear echoes between this and The Handmaid’s Tale. And obviously, the environment is being destroyed more and more every day. In this post, then, I decided to focus on the exact opposite of my initial reaction: the progressions we have made since 1985 in the circles Atwood was concerned with. Thus, I present to you: 4 reasons why The Handmaid’s Tale is outdated (& why we shouldn’t fear that it could still happen). Gilead in The Handmaid’s Tale is a state rocked with the effects of nuclear warfare and anthropogenic pollution. The whole premise of the novel is based on high infant mortality rates due to these high levels of pollution – only 1 in 4 babies survives infancy – leading to the removal of women’s rights in order to try and maintain the human race. Thanks to conventions like the Kyoto Protocol, outlined in 1997 and implemented in 2005, we are in a very different boat. Though pollution still is not at ideal levels, and carbon dioxide emissions are still increasing, the Kytoto Protocol highlights a key difference between current society and Atwood’s Gilead: we are making an effort to mitigate the impacts of climate change before it goes too far. We are not in the position that nuclear pollution is increasing infant mortality rates. In fact, our population keeps growing (which isn’t a particularly great thing, but it’s a clear contrast to Gilead). And many, many more. Clearly – and rightly – feminist movements are making front-page news. 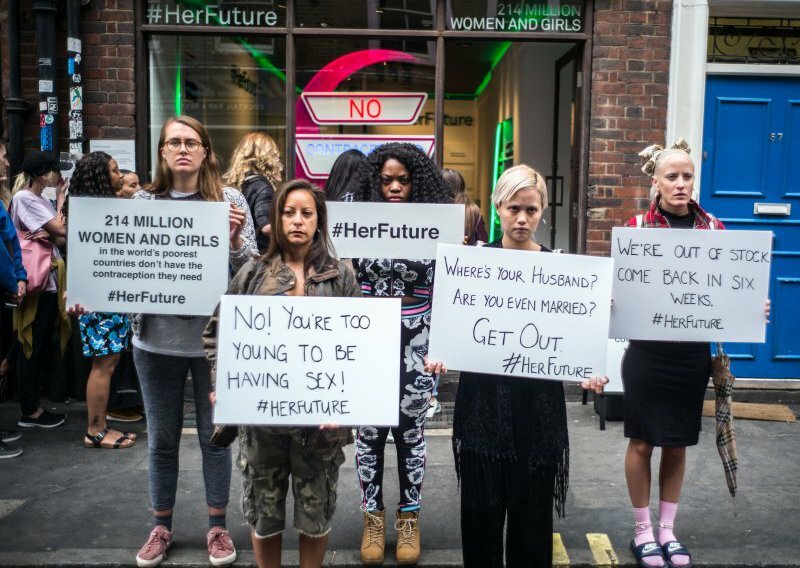 It’s high time gender equality is reached, and the rise of intersectional feminism is both necessary and anticipated. The same could not be said for Atwood’s USA pre-Gilead. I do not believe that today – with all of the inspirational female icons and feminist powerhouses that dominate the media – the events of The Handmaid’s Tale could occur. 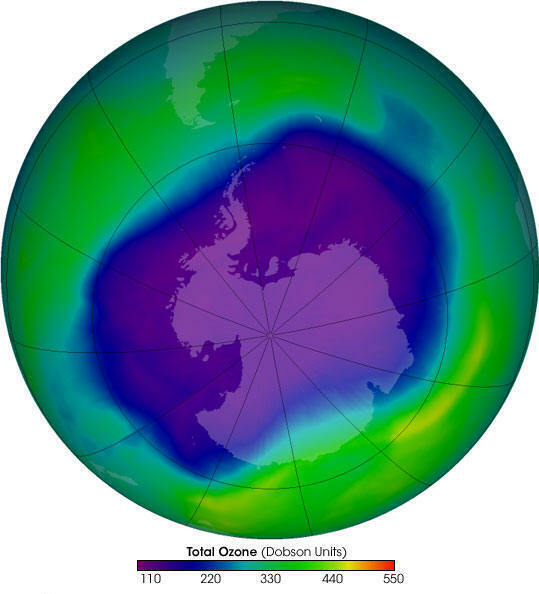 In the year 1985, the Antarctic Ozone hole was discovered. Now, this isn’t actually a hole in our atmosphere, but a thinning of the ozone layer caused by pollutants which are pumped into our atmosphere by human activities, like fossil fuel burning and large-scale farming practices. You may think a hole over the Antarctic – the permanent home to exactly 0 humans – wouldn’t really affect us all that much. However, ozone has the wonderful capability of absorbing harmful UV rays. A thinning of this ozone layer increases the likelihood of skin cancer and cataracts amongst humans globally, alters the development process of plants, and has a large impact on food webs. Obviously, in 1985, this was a huge wake-up call, and – fortunately – efforts have been made to reduce environmentally detrimental human activities, largely due to conservationist programs like the aforementioned Kytoto Protocol. In 2017, the Antarctic Ozone Hole was officially the smallest it had ever been since its initial discovery. Hurrah! Granted, we still have a long way to go, but it’s a good start (and a world away from The Handmaid’s Tale). In mid-2017, the UK pledged an extra £45 million per year to go towards international family planning until 2022, helping to increase access to contraception on a global scale. But what exactly does this mean? ‘Family planning’ is all about empowerment: giving women a choice from the offset whether or not they are ready to have children. In developing countries, not having the access to contraception can lead to unwanted births and even death due to unsafe births. In Atwood’s Gilead, contraception is illegal. In reality, each day contraception becomes more accessible. We are a world away from The Handmaid’s Tale. Thanks for your comment! I’ve never actually read Hemingway but I’ve always meant to. Hopefully I’ll get around to it in the near future and share my thoughts!